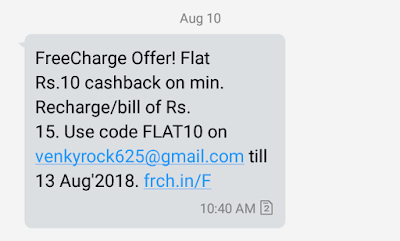 In this post you're going to know about an awesome Freecharge Offer - Get Flat Rs.10/- CashBack on Rs.15/- Recharge. 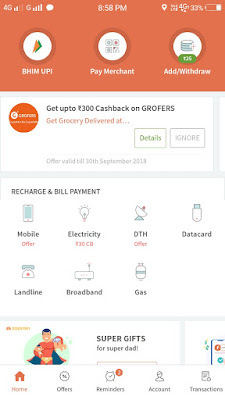 You'll Get Flat Rs.10/- CashBack on Rs.15/- Recharge. 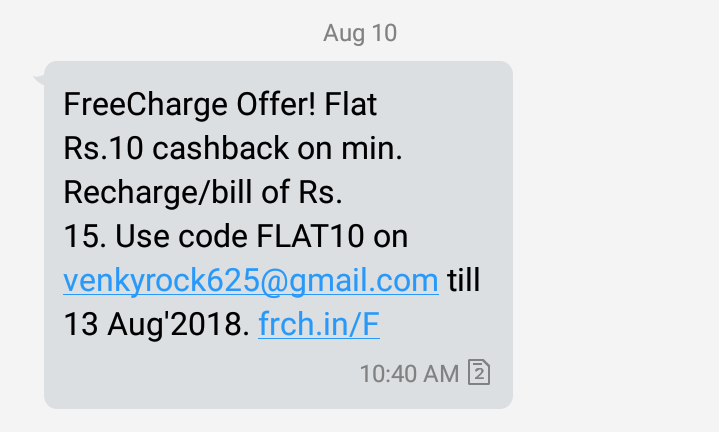 Enough!! 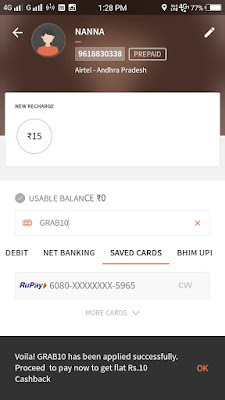 After successful completion of Payment you'll Get Flat Rs.10/- CashBack on Rs.15/- Recharge. 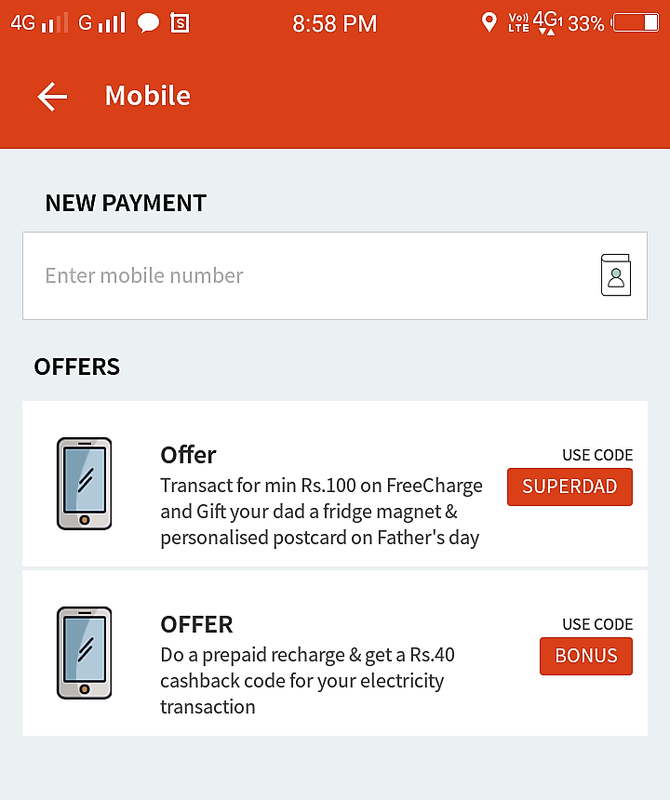 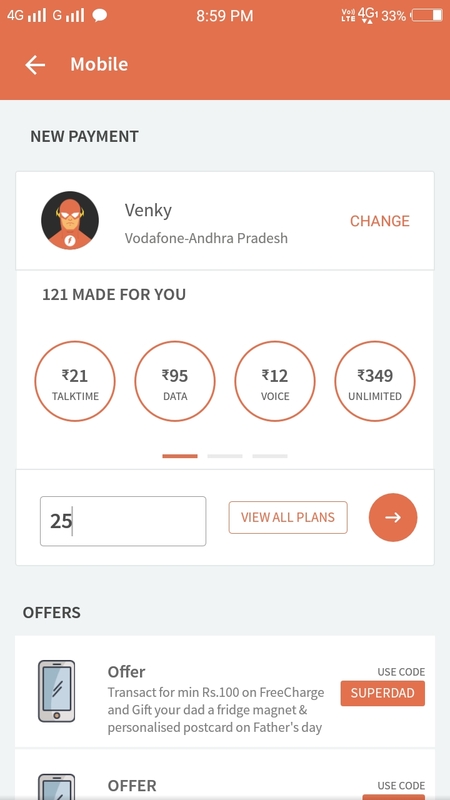 This post is about Latest Freecharge Recharge Offer - Get Flat Rs.10/- CashBack on Rs.15/- Recharge. Follow the above steps carefully. If you have any quires leave a comment below.